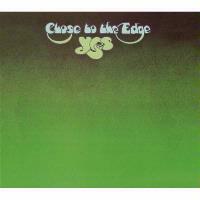 I absolutely love Yes’ Close to the Edge and I’ve reviewed the main album before. I’ll leave it to that one to get into a lot of the finer nuances, but I will say that this remastering really feels a lot more like I remember the old vinyl sounding. The bonus tracks here are mostly for an archival value and the sense of having “everything Yes,” but the main tracks sound so good here and the album sleeve based on the old LP make this worth having for sure. Also, for the sake of consistency it should be noted that where I’ve reviewed these tracks before I’ve used those reviews. I believe this is the same version that was released on the Yesyears box set – and I reviewed on that set. So, I’m going to use the track review from that article. Yes' cover of Paul Simon's piece, this one feels more like older Yes in many ways, seeming like it might have felt quite at home on one of the Banks era albums. It is a solid reworking of the song, and the group finds plenty of opportunities to shine here. This alternate take is a little bit longer than the album that made it onto the album. It starts off in quite familiar territory. Anderson’s vocals are less produced on this. It sounds like he might have been fighting a cold when they recorded this. Much of the musical arrangement here is rough, too. I just seems to move from here and there with quick inserts. 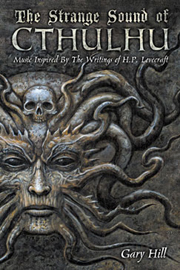 Each musical bit itself is OK, but the overall effect is of a rough demo work through. I’m sure that’s really what this is. The thing is, it does bring a different understanding of the musical themes and the work that goes into creating a masterpiece. I don’t think it will ever be a song that I listen to on a regular basis, but it’s quite intriguing and worth having. As one might guess from the title this is a somewhat rough edit of the earlier cut. That said, the vocals probably take the biggest hit in terms of production. The music is pretty close to the main version. There are a few changes, but it’s nowhere near as major a difference as on the last piece. There are some alternate lyrics on the build up section later in the track.